There’s no mistaking a fine leather. You know it just by looking at it. Touch it, and you’re convinced. Smell it, and you’re hooked. Like art on a canvas, a beautiful pair of fine footwear doesn’t just happen. It takes a skilled craftsman, the best materials, and the most painstaking process. Horween’s philosophy from the beginning is that you make it the best you can make it, and you price it accordingly. And if it’s really the best, people will buy it. That was four generations ago. And Horween is still the standard in Genuine Shell Cordovan. Horween was founded by Isadore Horween in 1905 in Chicago and still operates from that city today. 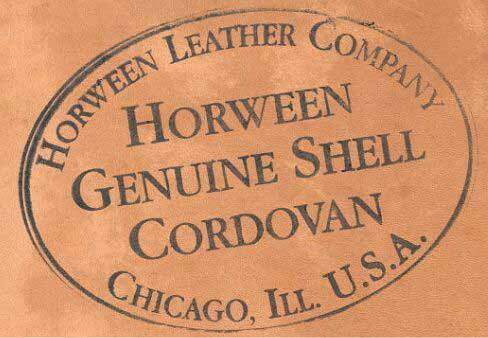 Cordovan was Horween’s original business. 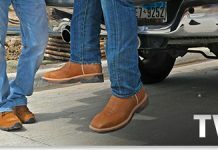 Now, you can find Horween leather used in popular work boot brands such as Wolverine boots and shoes. Horween’s goal is to make the best leather in the world. The company believes making the best means doing lots of little things right, and that making the best has nothing to do with fastest or cheapest. It means always using a process that never cuts corners, and materials are chosen for their fine quality and no other reason. In today’s market, speed and flexibility are at a premium when it comes to the manufacture of quality leather products. Or any products, for that matter. But Horween offers something better: An unparalleled blend of quality, consistency, responsiveness, and innovation. Genuine Shell Cordovan is a specific color, a very specific leather, from a particular part of horsehide. 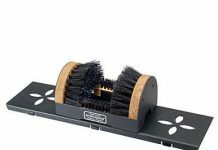 Simply put, there is no other work shoe or work shoe leather like it. The very first thing they do is remove the hair. Then each raw piece of leather is hung and slowly steeped in vats of vegetable tanning liquor. This first part takes 30 days. Forty-five days after the process was begun, the leather finally gets its first shaving and is cut into a shape that looks like a numeral eight. That piece of leather is hung back in for a second round of tanning for another 30 days. Then the leather goes up for hot stuffing, an impregnation of a blend of oils and waxes, then slicked onto glass frames to dry. After that, Horween’s fine craftsmen hand-oil the leather, a process called currying, and it sits in that oil blend for 90 days. Then it gets its final shaving, to expose the shell. And for the first time, the shell of the leather is exposed to the blades. After that shaving, it is hung up to dry one more time. Then the craftsmen suave on the stain coats of dye, for a deep aniline finish. Then it’s dried again. Finally, it is polished and ironed, hand glazed to give it that signature rich, glossy look. And there you have a fine piece of cordovan. This entire process takes six months. “It’s a product that needs to be manufactured by people that understand what it is,” Skip Horween says. Take care of your leathers by using proper conditioning and waterproofing practices. 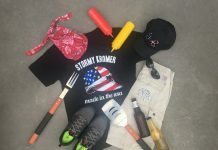 Workingperson.com offers a wide selection of polishes, conditioners, and waterproofers to keep your leather work boots in tip-top shape. If you have a pair that you don’t want to part with but needs a bit of repair take your boots to a boot repair shop or try this do-it-yourself boot sole repair.